A luxurious cows leather changing bag perfect for any occassion! 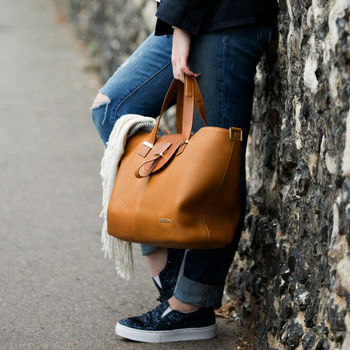 Ellie, a trendy luxury style changing bag made from genuine cow leather. Made from supple grain leather and accented with gold hardware, Ellie is a Changing Bag that is not only practical but offers versatility. If you like to keep your hands free when out and about with baby, then Ellie is the changing bag for you! Ellie can be worn in 3 ways, hand held, across the body or on the shoulder. Her minimalistic features make her the perfect companion for an effortless day look or stylish evening look. 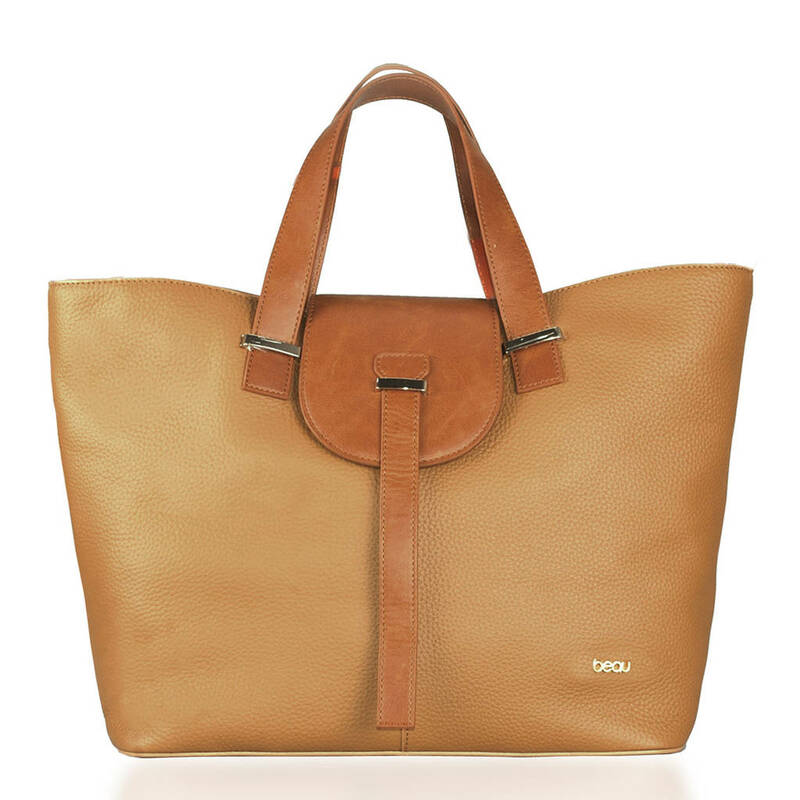 She is a timeless shopper tote that can be worn throughout the seasons and has enough space inside to accommodate absolutely everything you need when out and about with baby. Ellie comes equipped with leatherette padded changing mat, detachable key holder and a thermo-insulated bottle holder to keep fluids warm or cool for upto three hours. 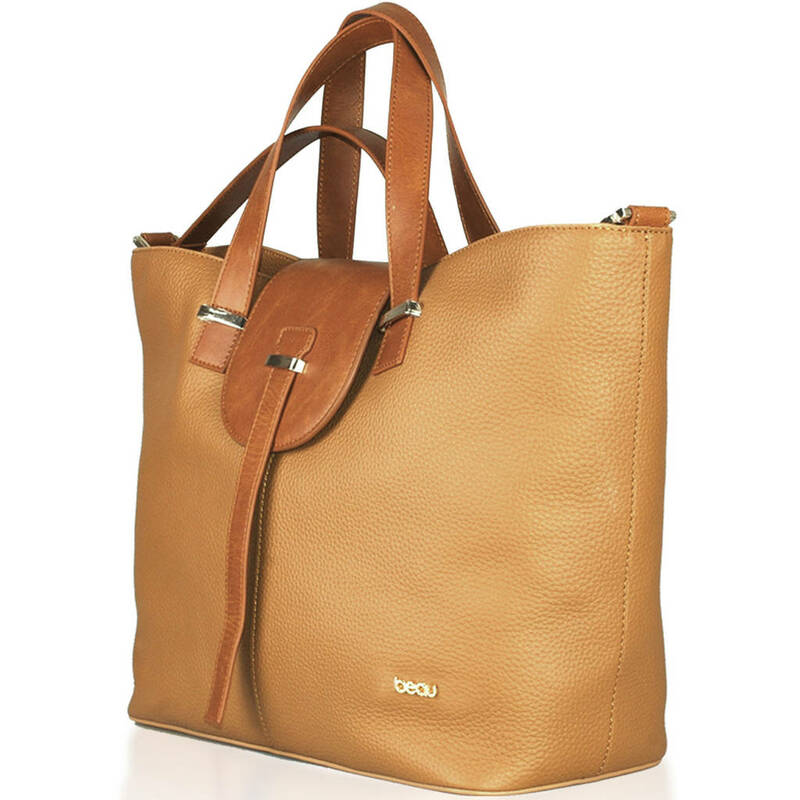 She also comes with an adjustable shoulder strap and water resistant linings throughout. This product is dispatched to you by Beau.